Valued Veterans President and CEO Andrew Belt will offer a roadmap and training manual veterans can use to acquire or hone Notary skills during a special conference workshop for vets. His goal is to recruit 1,000 veterans into his Notary signing agent network by the end of this year and provide each of them contract work from clients including American Title Inc. and Title Source. Valued Veterans helps businesses engage with veterans in one common place for Notary services and appraisals and is the only national provider recognized by the VA in the housing and finance arena as a certified Service Disabled Veteran Owned Small Business (SDVOSB). Veterans who wish to enhance their resume, get a leg up on the competition, and win timely opportunities for work can register for free training at NNA 2014. I am a veteran.. I am all ready a Notary Public and a Certified Notary Signing Agent. 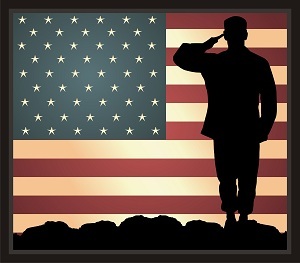 I would like to take advantage of any free courses or seminars you are offering to veterans. Knowledge is power. Thank you. Hello Grady, Thank you for reaching out to us. We will be publishing more information on events at NNA2015 in Florida after the New Year; please keep watching the Bulletin for updates!